Stainless Steel 15-5 is a precipitation hardening martensitic stainless steel. It is used in applications requiring better corrosion resistance and transverse properties compared to other similar martensitic grades. We offer our exclusive range of superior quality Stainless Steel Ring. We use premium quality material for developing these rings to ensures their flawless features. Specifications: Can offer Sheets, Coils, Strips & Plates with pvc coated, matt finish, No.1, No.2, No.3, No.4, BA, 2B, etc. finish depending on material grades. Features: High strength and good weldability; resistant to corrosion; resistance to alkaline solutions. We are offering Inconel Ring to our clients. 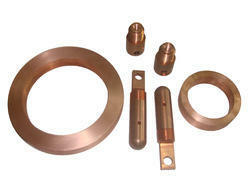 Indian Metals & Alloys Mfg. Co. (p) Ltd.
Ritinox stock stainless steel, high nickel alloy, alloy steel, carbon steel, duplex and super duplex plates and sheets. We can also supply circles, rings, or pieces as per your sizes. 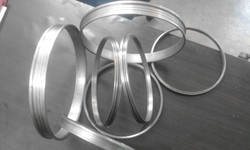 We are manufacturer of all kind wire forming buckles & rings. These are available in iron, brass & Ss. Prices available in kilogram also for bulk orders. We are able to customized any measurements & design as per art work or as per samples provided by buyer. We are dealing in Carbon Steel Rings. Beryllium Copper Ring. it is used in electronic industries. we can do material as per drawing.